Join 15,362 other online Players! yeah, well i don't like annoying children. so i guess its mutual. /ignore add ASingleRacist and you're a steve? It means you’re Sleeping Beauty. Also Libera Me From Hell. i dont have to either .w. and ur 1 year older then 11 u call meh brother a kid and U THINK SPEED BRIGING IS A HACK!!! bob_the_chopper and ZA_WARUDO_WRYYYYYYYYYYY like this. ZA_WARUDO_WRYYYYYYYYYYY and Xx_SirSnake69_xX like this. This is a cause I can support. ZA_WARUDO_WRYYYYYYYYYYY and urbadimbest like this. More like the most polluted mindset of a false minecrafter. PianoGirl3 and MrMcShroom like this. 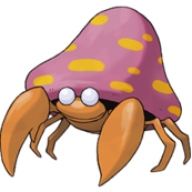 only the best crab pokemon for my 4v4 invasion baby. im about to go keep up my forum appearances for a new thread in the bedwars section, look for it, it will be great. ZA_WARUDO_WRYYYYYYYYYYY, urbadimbest and KorraAlone like this. image click now leads to hypixel thread instead of invite link. read more about it there! like anime? message me about anime.